Although the U.S. Navy had invested considerable money and resources in the development of the Trieste II, there was dissent within the Navy about the importance of exploring the deep and costs involved. One frustrated Naval expert who was on the side of progress and wanted to see continued expeditions to the deep, was Charles Momsen Jr., Chief of Undersea Warfare at the Office of Naval Research. He eventually convinced the U.S. Naval Offices to commission a highly maneuverable deep submergence vehicle (DSV) that would be capable of mounting undersea rescue missions in the event of another devastating submarine disaster, such as the sinking of the famous Thresher. Momsen worked closely with Al Vine of the Woodshole Oceanographic Institute in Cape Cod. 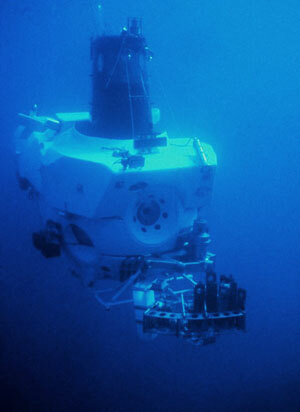 In deference to him, the DSV that was developed out of the U.S. Navy and WHOI partnership came to be called Alvin, a contraction of the name Al Vine, and the name has stuck even today.